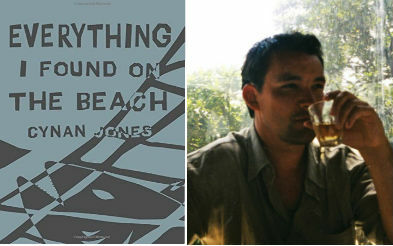 Back in November, TNBBC had the opportunity to host a week-long discussion with Cynan Jones about his novel Everything I Found on the Beach. TNBBC: Hi Cynan! I had fallen in love immediately with your style of writing. It had this wonderful way of just sucking me right in. EVERYTHING I FOUND ON THE BEACH begins with the discovery of the body. Was this always the beginning or did the idea of having that as the prologue come about in the later stages of novel revision? Cynan Jones: A body, on a beach, found at the start of the book was an early decision. But - avoiding spoilers for those that might not have read it - the device as a means of creating an ellipse in the narrative was something that grew during the plotting of the book, in structural terms, over time. It's quite often the case to find a body at the beginning of a mystery, the story then becoming one which pursues the reasons that body came to be where it is. In "Everything", I wanted to lead readers to different bodies - 'who is it? Which of these men?' - to load the narrative with a little less certainty throughout. Thank you for the opportunity to read your novel. Would you talk a bit about the ending. It felt as though there could only be one possible end, and the latter half of the novel was an exploration into the journey towards that particular end. I found myself saying to Hold "Idiot. What did you expect would happen!" Haha, I don't know if that's fair. CJ: A lot of my writing uses a central allegory that glues the whole together - the narrative, the human situation and so on. In 'Everything' I wanted to explore exactly what you recognised: the inevitable outcome of some chosen action. Bluntly put, if a fish chooses to swim in a particular direction and there's a net there, they will hit it. When Hold decides to do what he does, we fear there's only one way it's going to go. When what happens at the end happens, we know it was the only outcome, even if, during the story, there have been moments when we've felt he'll get round it. What is his reason for doing the thing he does? That's a key question of the book. Would you? Take a chance to change everything, despite the risk? Against inevitability? What if you beat the odds? Rhonda: Your novel was one of my top reads of the year. The scene after the birth of the baby when Perogi made a red string tied around the baby is a tradition we still follow. We now tie a red string around the baby's crib to ward off the evil eye. CJ: Great to hear the book worked for you, Rhonda. The first draft of 'Everything' focused much more on Hold's narrative. I had a few weeks clear to write that, and made notes on how I would look at widening the stories of the others in the book. When Parthian - the original publishers - linked me with an editor, they very much wanted the word count to increase from the original draft around 25,000 words. The colouring in, if you like, the details that were brought to Gregor, and the Irishmen, really needed to feel authentic. I'm glad they do, to you. Eric: Cynan, I'd like to hear you talk a bit about how story mandates voice (or vice versa), and which is the primogenitor for you. Meaning, do you generally come at an idea formed with character and plot, then create the voice, or is it some other combination thereof? Some authors have a rather rote style, but I found yours married to Everything I Found just superbly, and I'm curious about how that voice formed. CJ: I try to let the book build in my mind before I go anywhere near the desk. Then I sit down and write as if I'm remembering. Or watching. As implied in one of the answers above, the first draft of 'Everything' focused on Hold's story, and that is what I had foremost in my mind - pictured, plotted, ready - when I wrote. The voice comes from the story, if that makes sense. And that story should be heavily tested before you try and pen it. I don't work out how to say a thing during the process of writing, but before. It can take a long time for the tone to grow strong enough to know it's the right moment to put the story on paper. Rhonda(1): You wrote the dark ruthless world of drug dealers perfectly. Hold was an innocent in their world. Sadly he thought he was making the big score but he was just a patsy. 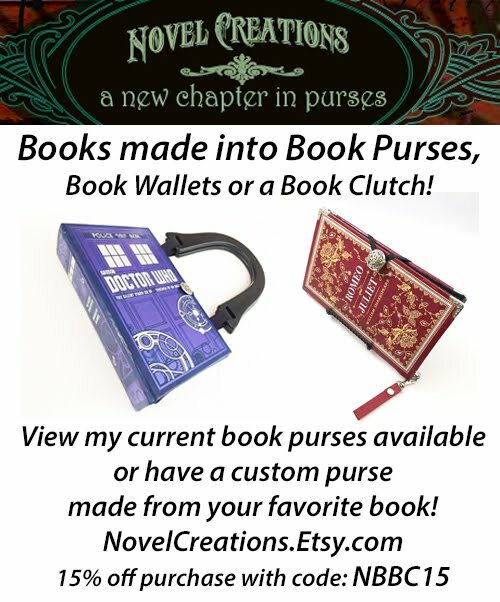 Curious to what genre of books you read? Favorites this year? Rhonda(2): Hi cynan. I loved everything about this book. As I was reading the beginning I wondered how you came about all your knowledge of fishing ? Was it something you had to research for this book or something you yourself knew about before writing this story? You made the setting come alive with your great way of describing what was going on. Also I loved the way some of the writing spoke to me. One section in particular that I noted was this one on page 64. "It's what we feel something is that makes it important. In a fire, someone might grab the most worthless thing, a smooth pebble, a seashell, a dried old rose if their lover had given it to them. If they still had the energy to believe. It's what a thing is capable of being that matters." CJ: That comes from first hand experience. I grew up (and still live) by the coast, in West Wales. The idea for the book first hit me walking the beach to set nets myself. I've been out on boats, and kayaks - basis for my latest novel 'Cove', just published here in the UK - and worked in an aquarium as a teenager which meant being on the water quite a lot. When it comes to writing setting, I try to give just enough to trigger the picture in the reader, so they go on to fill in much of the detail themselves. That can create a strong relationship between reader and story, I think. Tabitha: (in follow up to his answer to her previous question) Very thought-provoking questions. I think your novel speaks to the idea of instant gratification that Western civilization can currently relate to; people looking for that easy way out. However, you do a superb job of characterizing these men as ones who HAVE worked hard and who--through no fault of their own--seem trapped by circumstances beyond their control. Like they can't rise above the glass ceiling of their social class. Or perhaps being born into poverty or loyalty to family have thrown them into their George Bailey existence. They stand then as sort of modern, archetypal, "common man" tragic heroes; doomed yet cathartic. Sorry, I guess there wasn't a question in there, haha. Did you want your audience to view them as representations of tragedy? CJ: I try to write in a way that allows the reader to make judgments as to the position of the characters. In 'Everything', are those characters representations of tragedy? Or do they represent hope, within the boundaries of their own worlds? People who believe it's possible to be more? Tabitha: Haha, those rhetorical questions would make a good book club debate :) And your questions raise other good questions, such as whether true hope can be found through criminal means? Or whether people who find themselves challenged with a particular set of circumstances can only "be more" if they are willing to sacrifice conscience and integrity by doing something they know is both wrong and potentially deadly, let alone the risk they run of being caught and prosecuted. And to do all this at the risk of abandoning one's family, as both these men do, are they not doing more harm than good by trying to attain that "being more"? CJ: I guess that depends on the mindset of a person. We justify many of our acts by determining them to be of significance to others. If someone truly believes they have a duty to better the situation of the people they care about, could they accept themselves not taking steps to improve things? Fear of consequence can be a great checking mechanism, (more so, perhaps, than pure morality). But in this story, we're examining characters who are in the minority. Who do take steps, despite evident risk. Tabitha: This was a great discussion. Thank you for sharing your thoughts! Deanna: I am so excited reading this book! I like to read authors works from different regions of the world, because you really get a feel for a place through an author who lives and breathes the setting, that being said, how did you decide on the main characters? Is there much diversity in Wales? I only ask, because when I think of Wales I picture a place that is still 16th century, Tudor England type place, all crumbling castles and windswept cliffs. Would your characters be the norm for modern coastal living? And if so, were they based on a particular person or persons in your life, past or present? CJ: Wales is an extraordinary place. On the one hand you're right. It's empty, windswept, timeless; crumbled castles and bleak coasts. But parts of Wales are historically heavily industrial. Now that industry is more or less gone, the communities in those previously busy areas are under massive economic pressure. You can find a quaint, affluent town formed mostly of second homes and holiday accommodation within a few miles of council estates filled with unemployed families and boarded up buildings. This is a strange tension. On the one hand Wales could be viewed as a tourist idyll, seemingly picturesque and problem free. On the other, a trap. A place with its stomach fallen out. The characters I write about are very much products of this dichotomy, and certainly representative of people here today. While no character is a based directly on any individual, they are built from the real types around me. Cynan, My heart really went out to our main man, working so hard to convince himself that everything was going to turn out ok in the end. Have you ever found yourself in a situation where you knew the outcome was inevitable but you were determined to ride it out and hope for the best or influence the outcome to no avail? CJ: I've been there. Haven't all of us? To a greater or lesser degree? Nothing as dramatic as the situation Hold faces, (or won't face, perhaps?...) But the thing is to try. To do something rather than nothing. Not curl up in a ball. And not to blame yourself when you haven't changed the inevitable. But that last sentence really hits home, right? Because most of us, being our own worst enemies, can't help but blame ourselves. It's human nature. EVERYTHING was my first experience with your writing, and has convinced me that I need to read everything else you have published! 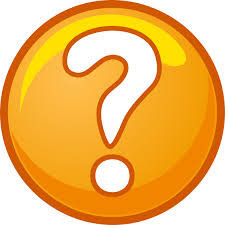 I'm curious, if you could influence a new reader's approach to your novels, in which order would you recommend they go about it? CJ: 'Everything' was my second published novel, after 'The Long Dry' - which Coffee House will publish in the US next year. 'The Long Dry' came out in the UK 10 years ago, and 'Everything' followed in 2011. After that, 'Bird, Blood, Snow' ( - a rewriting of a Welsh myth, and something very different from the other books - ) in 2012, and 'The Dig', in 2014. 'Cove', the latest book, is just out this side of the pond. Carol: Cynan, just wanted to say, thanks so much for making yourself available for this discussion as well as for your thoughtful answers. I'm enjoying your book immensely (am approx 80% of the way). I haven't thought of any questions to ask, but didn't want to miss the opportunity to express my appreciation and congratulations on creating Everything and Hold. CJ: Carol, that's much appreciated. If you do have a question, just fire it on. Lori: The initial draft of the book - mainly because of the time I had to write, in between work commitments - focused on Hold's story. Gregor's world grew later, during further drafts. The details of his work, where he lived, the people around him. I find that structure is always the thing that takes the most work in any narrative. How to balance it. How to feed story out the right way. How to deliver alternating viewpoints and so on. 'Everything' was quite a challenge, in that there are also the Irish characters, and glimpses into the world of the crime boss, for example. But then, that's what we often get in life. Only glimpses of people. Only some detail, from which we draw our assumptions about them. Rhonda(1): Gregors story broke my heart coming to a strange country seeking a better life for him his wife&then the baby.&seeing it all falling apart.His desperation his attempt to save his family &the tragic outcome seems ripped from today's headlines. CJ: It might seem ripped from today's headlines, but I started writing this book around 2009. People try to better their lot. There are fairy tales, of lands of milk and honey... Human beings are built to push outward. Hasn't this always been the case? Norris: Hi Cynan, One of the aspects I most enjoy in both "Everything I Found on the Beach" and in your other fiction is how important employment is to revealing character. I'm thinking of Grzegorz and the slaughterhouse, Hold and his fishing and rabbit hunting, in "The Dig" Daniel's work on the farm and how his wife's absence there breaks him down, the boy's pride and fear that his dog will embarrass him on the dig. Is giving jobs to your characters a deliberate decision when you begin a new story? Also, while I haven't read "Hawkfall," George Mackay Brown's novel "Greenvoe" is one of my favorites for how each character's section builds the novel into a picture of a community. You mentioned that structuring and finding the balance between multiple narratives is a particularly difficult part of writing; are there any novels that you consider as doing this well? CJ: Other than those we're very close to, we generally understand people through what they do. I tend to write about people who work physically, rather than - for example - a psychiatrist, or a lawyer. Character, then, can be revealed through action. I'm interested in how we're defined to an extent by the jobs we do, sometimes even for the few hours we do them, our character altering to navigate the task at hand. The juxtaposition between what we want to do and what we have to do, and how we develop strategies to deal with that compromise. And sometimes how we have to persuade ourselves that what we are doing is utterly vital. I've not read "Greenvoe", having only just come to George Mackay Brown, but it's straight on my list! Interestingly, when structure works right, you're often less aware of it, so you've got me thinking now. One book - not a novel but a collection of short stories - that blew me away, in terms of the structural (eliptically narrative) magic trick it pulls off, is Paweł Huelle's "Cold Sea Stories". Amazing. CJ: Great to know a book I wrote (what seems like such) a while ago is still making friends. I tend to move on from the things I write quickly, so it's quite an exercise, this: trying to answer questions in a way true to the time of writing! You're going to have to excuse me for a while now, though. Rugby: Wales v. South Africa is about to kick off. Back after the game! TNBBC: Hey everyone, it's the final few hours of the discussion. If you have any lingering last minute questions, now's the time to get them in. Cynan, I want to thank you so much for hanging out with us all week long, taking on our questions and even posing a few of your own. I loved being able to get a little deeper into the novel and your overall writing process! A true heartfelt thanks, too, for having an interest in our little group and in working with your publisher to make the copies available for our members! CJ: It was a pleasure. Thanks to all who joined in. Let's do it again when The Long Dry comes out, next Spring! Meanwhile, all the best from Wales. TNBBC: Sounds like a plan, Cynan!